Granite Bay and Rocklin couldn’t come to a conclusion the first time the high school soccer teams met Oct. 6, a 1-1 deadlock in Rocklin. It took all of three minutes Friday for Granite Bay to take charge on its turf. Senior Connor Puhala scored on an assist from senior Kyle Howarth, and the Grizzlies rolled to a 6-1 victory to clinch the Sierra Foothill League championship on one of the first cool, breezy, misty days of the fall. Granite Bay (21-0-2 overall, 8-0-1 SFL) is ranked 17th in the National Soccer Coaches Association of America poll after being ranked fifth in September. Ties with Grant and Rocklin knocked down the Grizzlies in the poll, but they’ve recorded four shutouts in a row and have outscored their opponents 135-10 heading into Wednesday’s regular-season finale at Roseville. Senior Ben Steinher scored in the 30th and 40th minutes on assists by sophomore Tanner Thompson and senior Connor Hallisey, and junior Brady Nations scored unassisted to give Granite Bay a 4-0 halftime lead. Puhala assisted on a goal by Cody Giddings in the 58th minute, and senior Nico Mamone scored on an assist by senior Kendall Modiste in the 78th minute to make it 6-0. Seth Casiple of Rocklin (12-3-6, 5-2-2 SFL) spoiled the shutout in the final minute with a lob over the goalkeeper from an angle about 30 yards out. 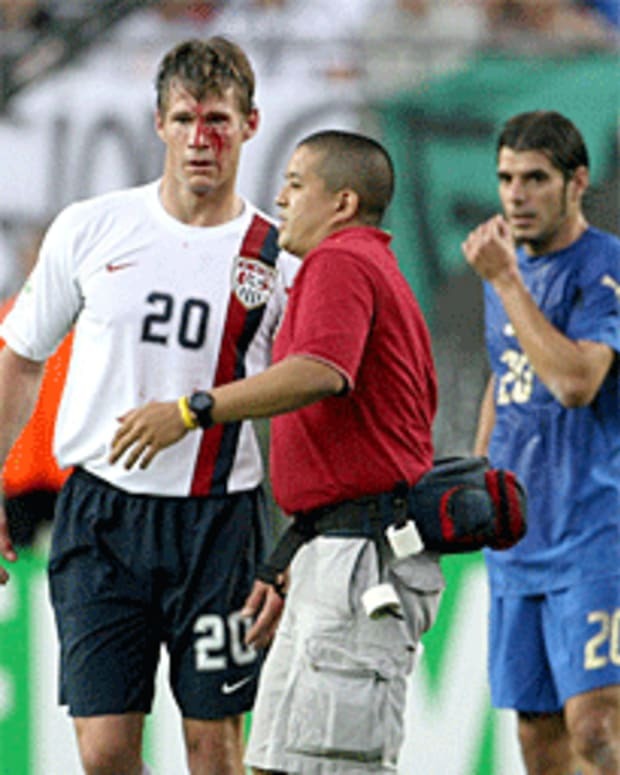 How Great was Soccer's Brian McBride? MLS Soccer: Can it Grow and Thrive?